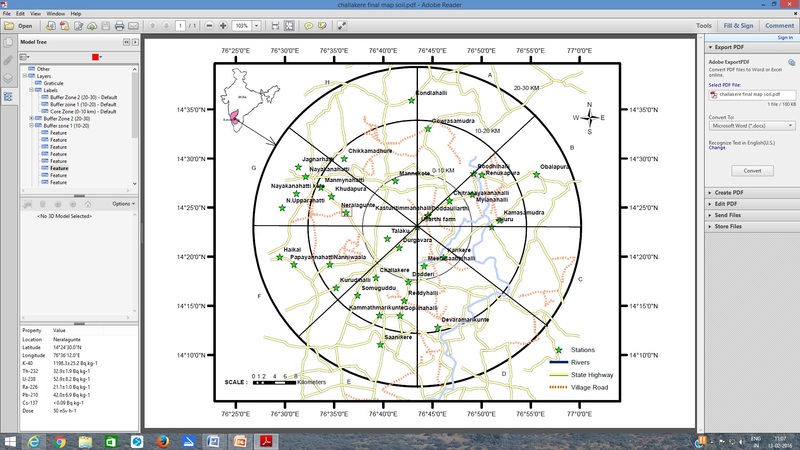 ♦	An extensive database was established on the radiation level, and natural and artificial radionuclide concentrations in the terrestrial, aquatic, and atmospheric environmental matrices of Kaiga and the West Coast of India. 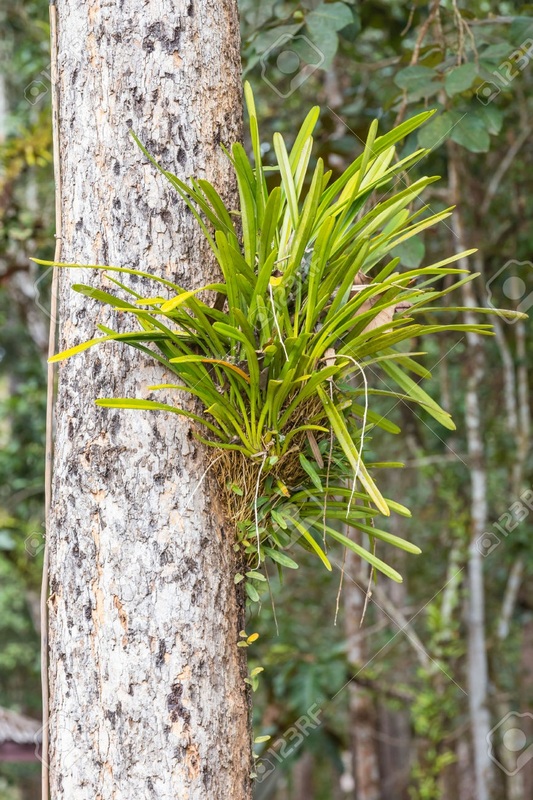 ♦	The identification of natural plant species, Cymbidium aloifolium (L.), a lichen, and Petrobryopsis tumida (Hook.) 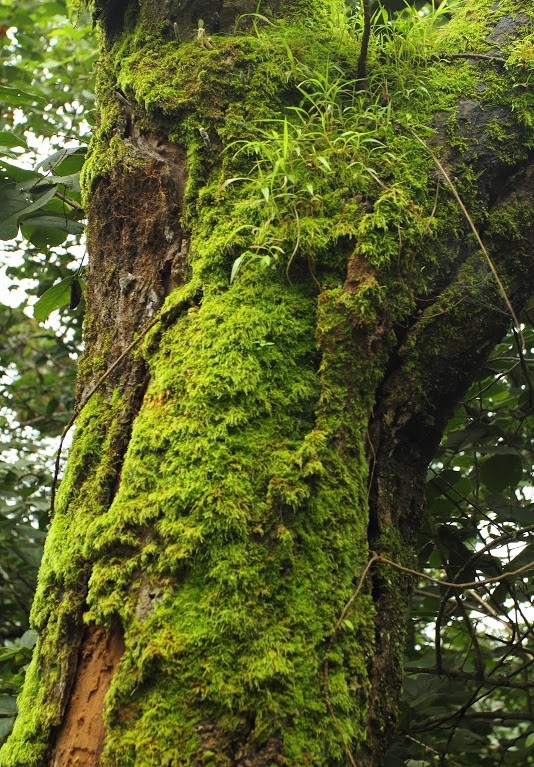 Dix., a moss, in the tropical forest of the Kaiga region, as possible bio-indicators for monitoring natural and artificial radioactivity in the environment was made feasible. Journal of Environmental Radioactivity, Vol. 31, No. 2, pp. 189-198, 1996. ♦	The presence of 137Cs in higher concentrations in the West Coast region of India in general, and around Kaiga region in particular was revealed, well before the nuclear power plant became operational. 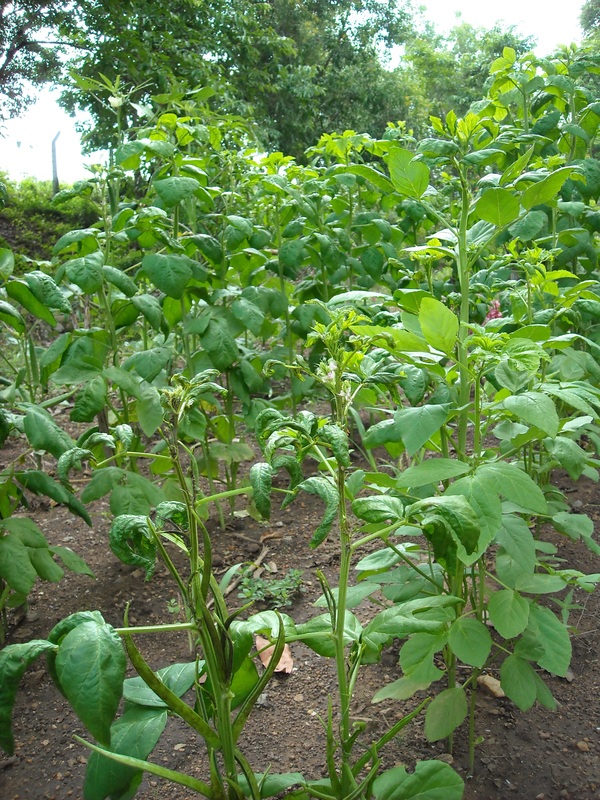 The reason for this was traced to the significantly higher rainfall, dense forest, higher soil organic matter, and the unique topography of Kaiga. This was considered as a very important finding because in the absence of such studies, and if the studies had been carried after the reactor became operational, the presence of higher 137Cs would have been wrongly interpreted as being released from the nuclear power station. Radiation Physics and Chemistry, UK, Vol. 51, No. 4-6, pp. 623-624, 1998. Health Physics, USA, Vol. 81, No. 2, pp. 148-155, 2001. 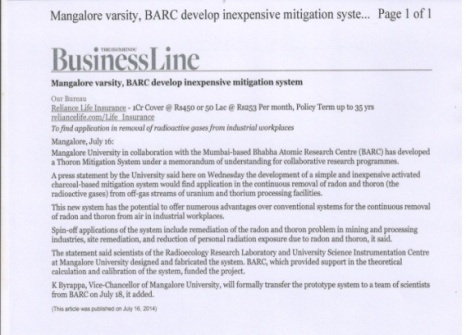 ♦	The baseline database generated by the Mangalore University through extensive studies was very useful in the impact assessment of the Kaiga Nuclear Power Station on the environment, and helped in convincing the general public that there is no radiological impact on the environment due to this power plant. 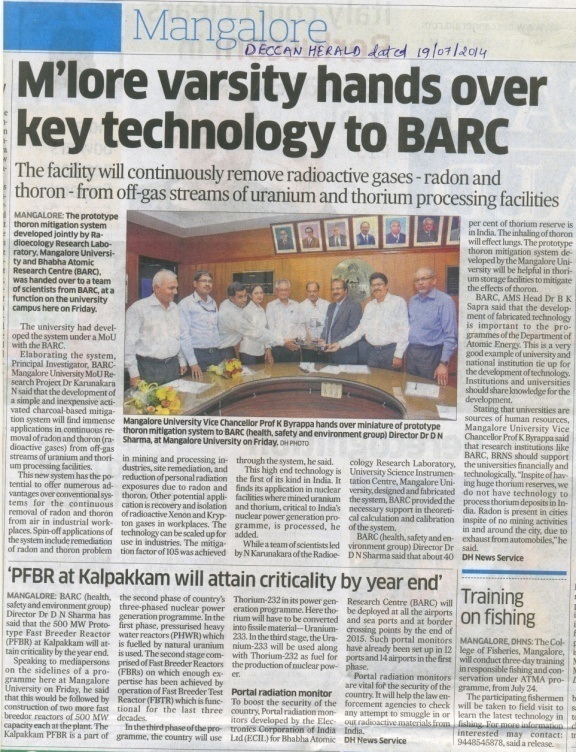 The research team of CARER has developed a Thoron Mitigation System in collaboration with the Radiological Physics and Advisory Division (RP & AD), BARC through an MoU. 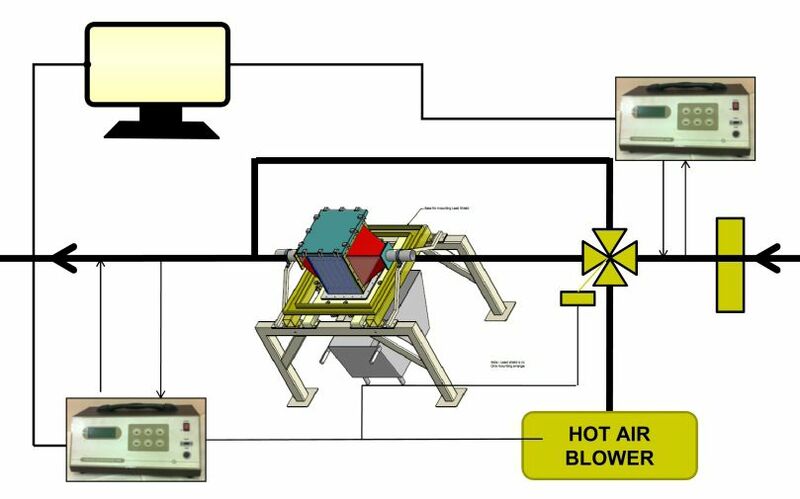 The development of this simple and inexpensive activated charcoal- based mitigation system will find immense application in the continuous removal of radon and thoron from off-gas streams of uranium and thorium processing facilities. Spin-off applications of the newly developed system include remediation of radon and thoron problem in mining and processing industries, site remediation, and reduction of personal radiation exposures. Another potential application is the recovery and isolation of radioactive Xe and Kr fission gases from workplaces. While the CARER was responsible for the design, fabrication, and characterization of the system, RP & AD, BARC provided the necessary support in the development of the theoretical models and calibration of the system. The characterization experiments resulted in the generation of breakthrough curves, estimation of breakthrough time, adsorption coefficient, degassing characteristics of activated charcoal for radon, and understanding the effect of flow and pressure drop across the bed on the mitigation factor, which are essential for designing a mitigation system for workplaces. A sustained mitigation factor of > 105 was successfully demonstrated for thoron using the thoron mitigation system. 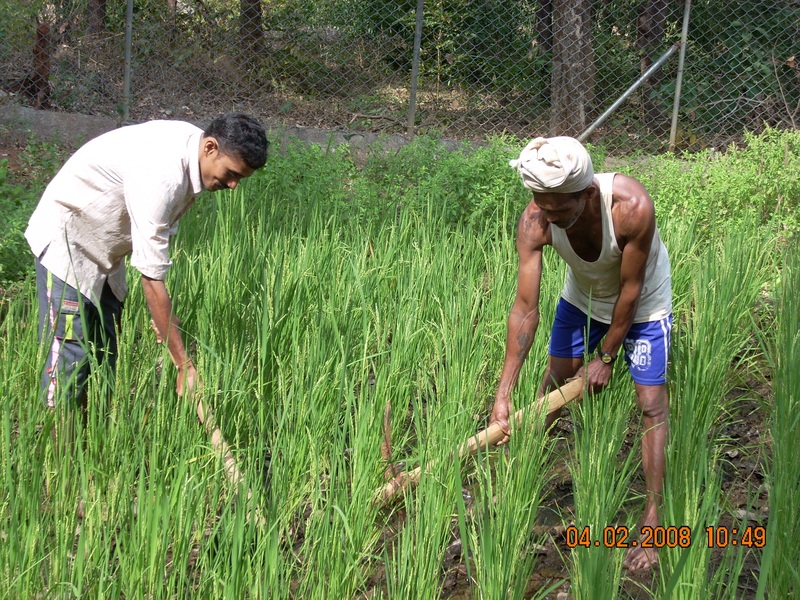 The technology and the prototype system were transferred to BARC and the system has been integrated in to the processing facilities of BARC. Journal of Environmental Radioactivity,142, 87-95, 2015. Schematic representation of integration of TMS with the thorium processing facility. 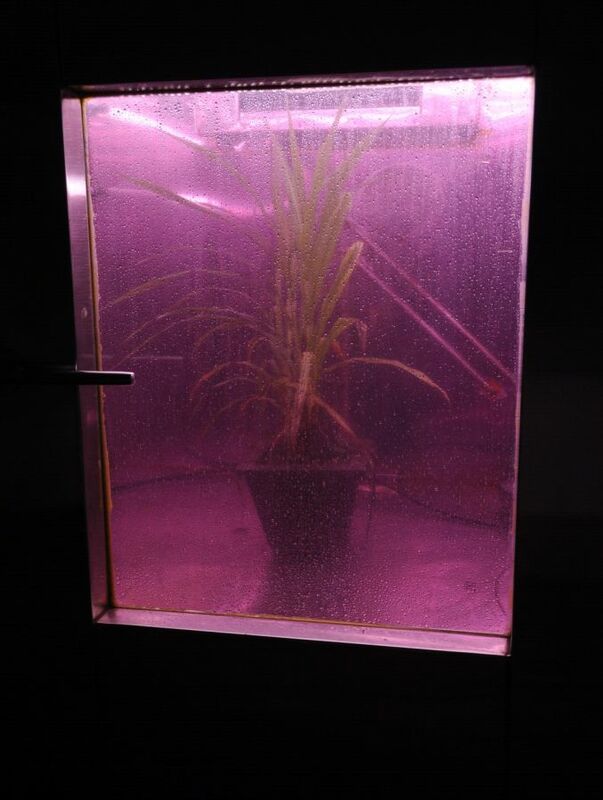 CARER has developed a new technique for the measurement of radon concentration in the soil gas. This method makes use of a bubbling system in which the soil gas is drawn through an active pump and bubbled through vegetable oil. After the bubbling process, the oil is subjected to gamma-ray spectrometry. 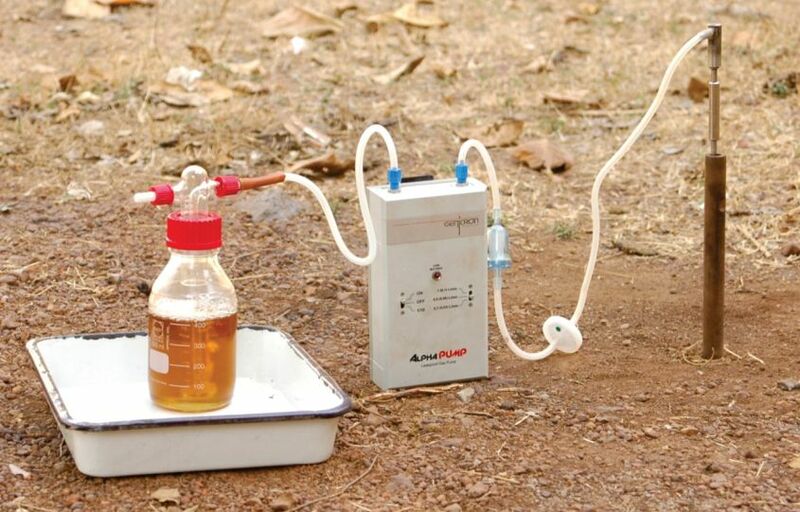 This technique provides an easy approach for the measurement of radon in the soil gas. This was a collaborative work between CARER and the College of Technology, Kuwait. 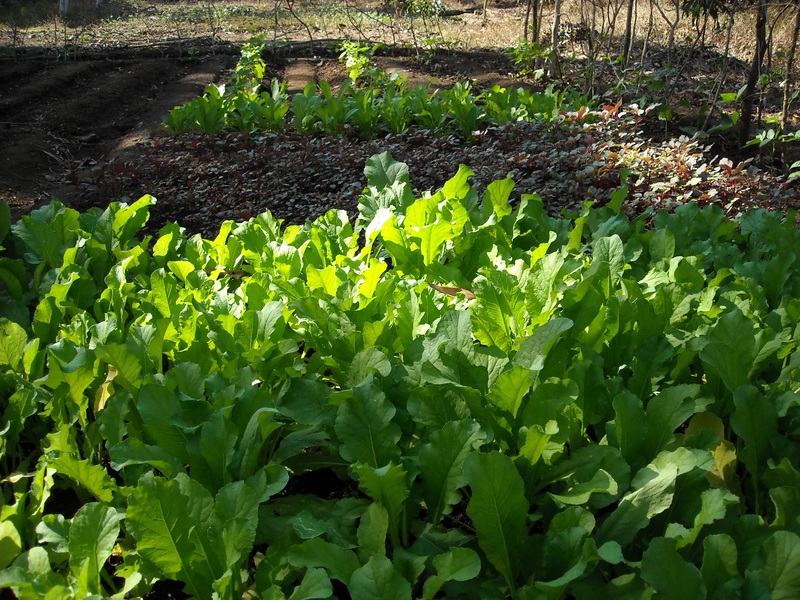 One of the important studies undertaken by CARER is on the radon absorption efficiencies of different edible oils of plant origin produced in India. 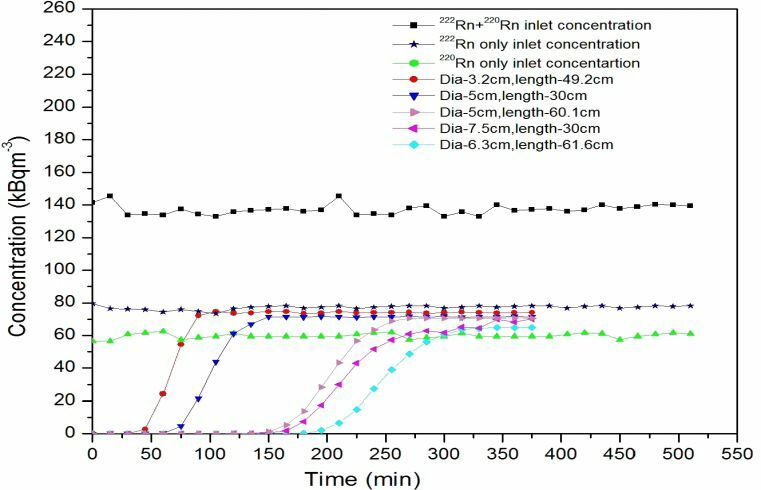 This study was performed by bubbling a known concentration of radon through the oil and then, evaluating the bubbled oil by gamma ray spectrometry using an HPGe detector. 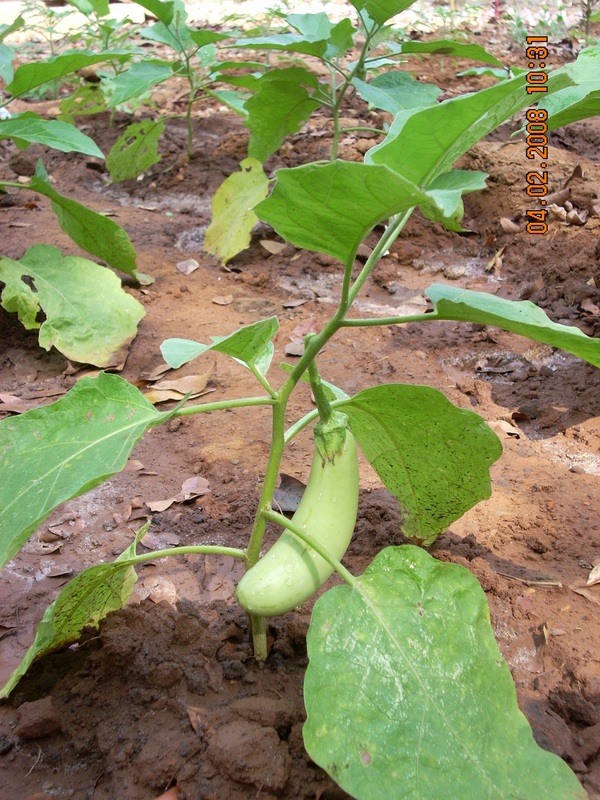 The results showed that oils such as coconut oil, sesame oil (til oil), groundnut oil, mustard oil, sunflower oil, and saffola kardi oil are very good absorbers of radon, and among them, coconut oil and sesame oil are better absorbers than olive oil. The study also revealed that Henry's equilibrium constants, or the concentration factors, for coconut, sesame, mustard, and sunflower oils are higher when compared to that of olive oil, which was earlier reported as the best radon absorbing oil. These oils are far less expensive when compared to olive oil, and the study showed that they can very well be used for the measurement of radon by using them as an absorbing medium. Health Physics, 98(4), 621-627, 2010. ♦	This study generated more than 3000 data regarding transfer factors and concentration ratios for terrestrial and aquatic pathways. BRNS has considered the above project as one of the best research projects. Journal of Environmental Radioactivity, 118, 80-92, 2013. 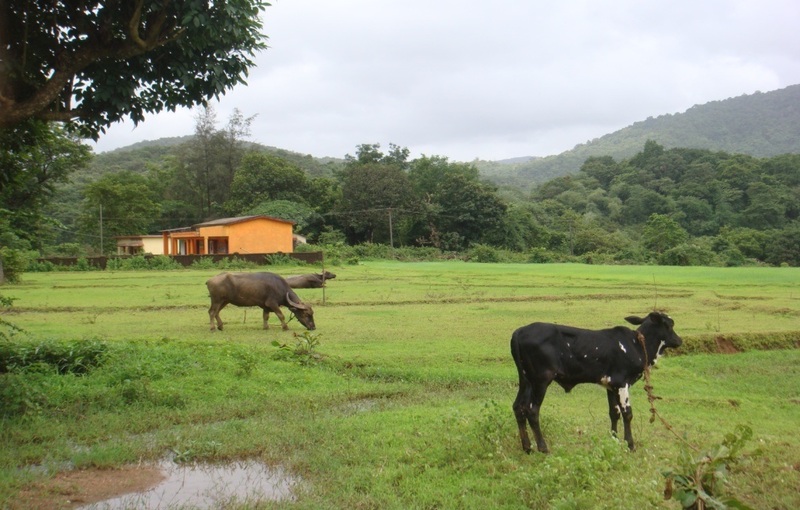 ♦	This study highlighted the need for realistic estimation of Fm values using site specific information on the daily intake of grass and supplement feed by the cows. Journal of Environmental Radioactivity, 124 (2013) 101-112. Journal of Radiation Protection and Environment, Vol. 34, Issue 3, 210-212, 2012. ♦	The mass interception factor of iodine varied in the range of 0.25-13 m2 kg-1 with a mean value of 4.2 m2 kg-1, when the ambient temperature varied in the range of 20-30°C. 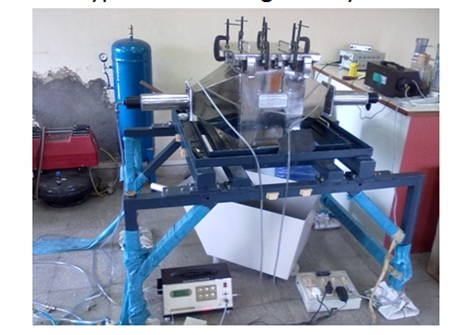 ♦	The wet deposition rate and deposition velocity of Iodine was higher by an order of magnitude when compared to the dry deposition rates and deposition velocities. However, the mass interception factors remained nearly the same, both in the case of dry and wet deposition. Uranium mineralization has been identified at Gogi, in Yadagiri district of Karnataka, and it is one of the prospective uranium mining regions. CARER has now completed detailed radioecological studies around the proposed uranium mining region, which has resulted in establishing a baseline database for the region. 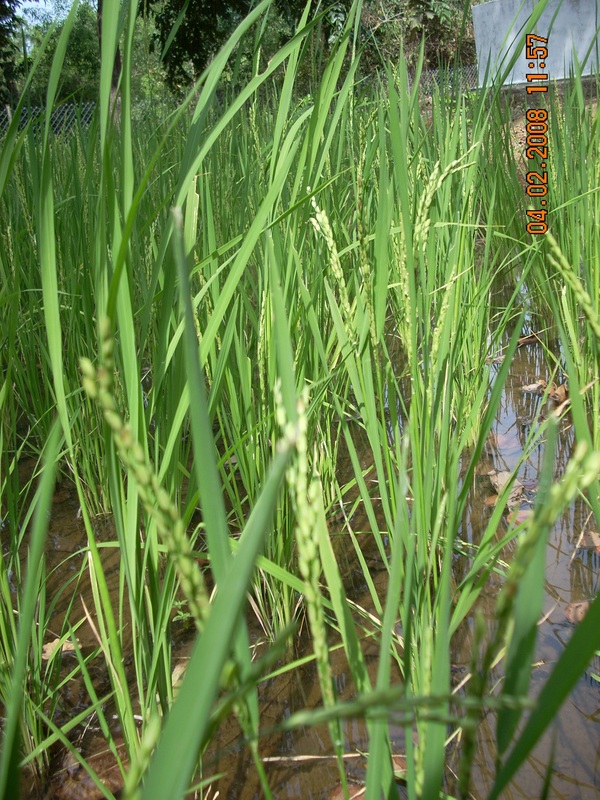 The studies have resulted in some very interesting findings, such as, high concentrations of radon and uranium in some of the tube wells of Gogi village. This is primarily due to the underlying uranium rich geological formations of the region. A digital radiation level map was developed for the Gogi region, which would be of immense benefit in impact assessment around the proposed mining region. 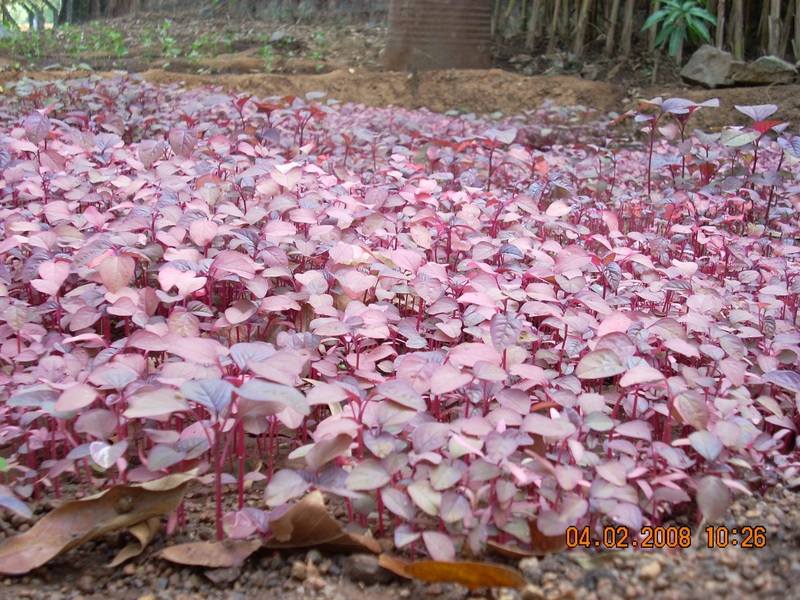 Report on the BRNS research project report titled “Baseline database on radiation level, radionuclides and trace elements concentration in environmental matrices around Gogi”, Mangalore University, 2013. 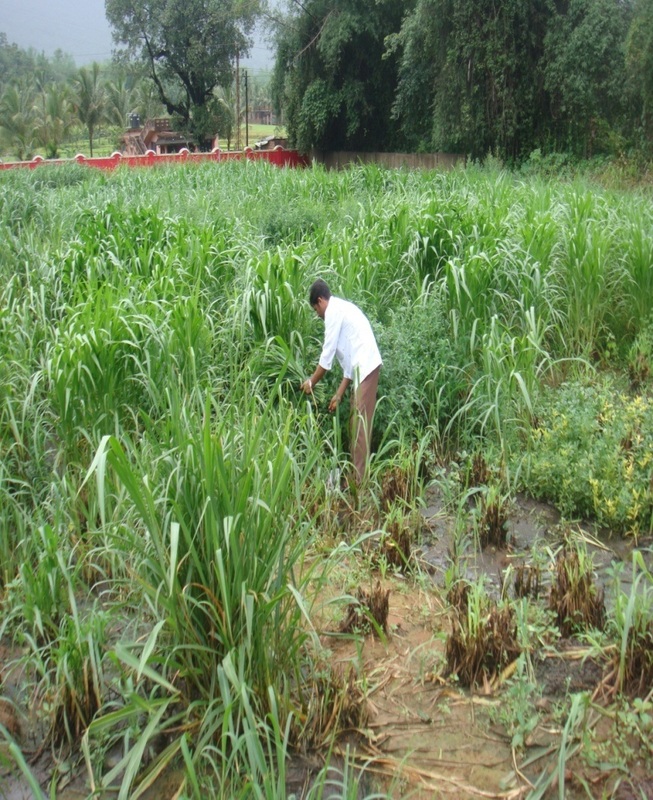 Recently, CARER completed detailed radioecological studies around the proposed new BARC-RMP campus at Chellekere, Karnataka. Under this study, gamma radiation levels and radionuclide concentrations in the terrestrial, aquatic, and atmospheric environmental matrices were measured and a detailed baseline database was generated. 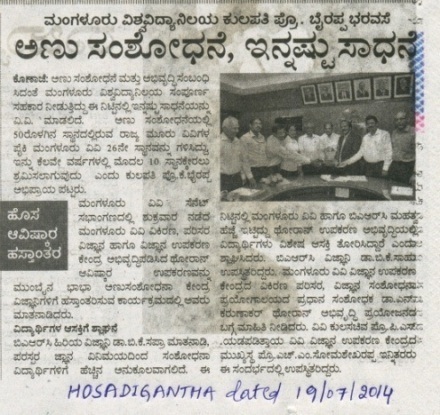 These studies were undertaken under the RMP, BARC-Mangalore University MoU. 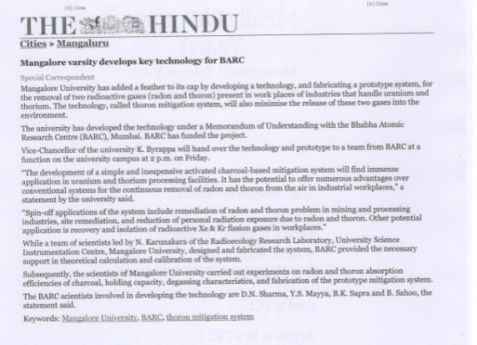 BARC, RMP – MoU research project report titled “Detailed radiological studies comprising baseline radiation levels and radionuclide concentrations in environmental matrices in and around Dodda Ullarthi, Challakere”, CARER, Mangalore University, 2016. CARER has developed an innovative method for instant access to data on radioactivity and related aspects around different facilities. It has developed digital maps for direct access to data on radioactivity around Kaiga, Gogi, and Chellekere regions. These digital maps provide details on radionuclide distribution and gamma dose, GPS coordinates of the sampling locations, etc., by clicking the respective sampling location on the computer. The digital map can be explored using the Adobe Reader on any computer and there is no requirement for additional software. This is considered as a very important contribution of CARER.